Date: Sep 14 2018, 8 p.m.
Bowl a strike on your first ball with the yellow pin in the number one position and receive a free game! Or enjoy some great food from the Strike Zone Snack Bar while enjoying our free Wi-Fi. Regardless of what you choose, fantastic fun awaits you at the Arena! 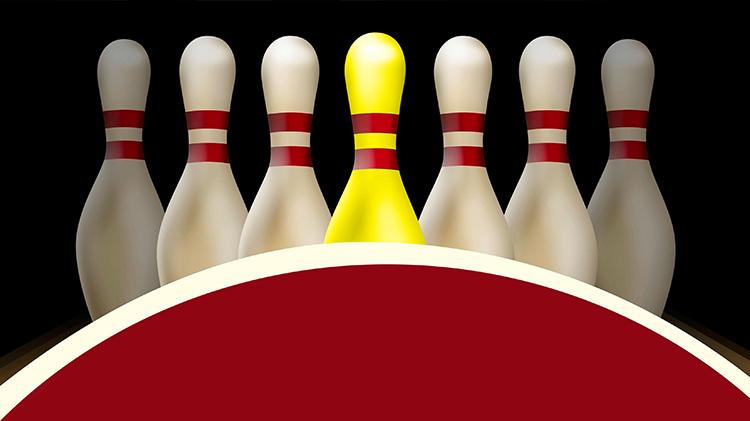 End the week with a fun night of Yellow Pin Bowling!